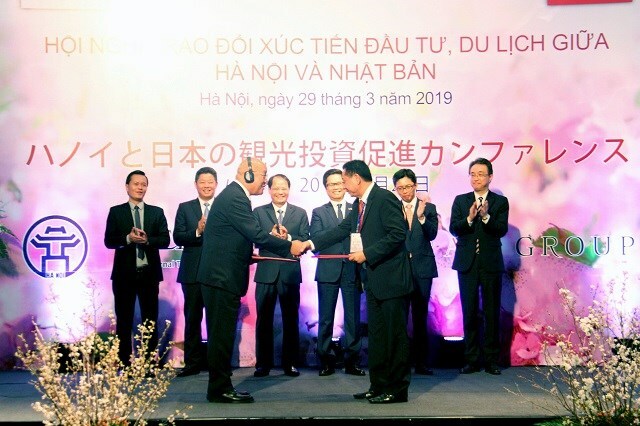 Hanoi (VNA) – The Hanoi People’s Committee organised a conference to promote investment and tourism cooperation with Japan in the capital city on March 29. Director of the municipal Department of Planning and Investment Nguyen Manh Quyen said Japanese firms have been investing in various projects with effective operations in the city. Hironobu Kitagawa, a representative from the Japan External Trade Organisation (JETRO), informed the conference that the fund channelled into the Hanoi smart city project was the biggest among the top-ten works invested in by Japan in Vietnam last year. He said that the estimated proportion of Japanese firms making profits in Vietnam reached 65.3 percent in 2018, praising the strengths of the local business climate such as high growth, stable political-social conditions, and low labour costs. Toan stated that the capital city is committed to stepping up administrative reform with people and enterprises as the centre.